In general, the asphalt will begin showing signs of depression (physical, not emotional). It won’t be able to carry a routine load as well, and even holding itself up can become more difficult. Asphalt holds most of a vehicle’s weight where the tires contact the surface. What’s more, parked vehicles sit there in that exact spot, exposing the asphalt and its subgrade to immense weight for lengthy periods of time. A poor base will allow that weight to depress, or sink, the asphalt lower than the surrounding parking lot surface. This rutting is obvious, as the depressions are often about the width of a standard tire and vehicles will often sit easily within them. Sometimes the weakness of the subgrade is so widespread it fails to support entire sections of your commercial parking lot. The asphalt will sink down and sometimes show visible signs of being significantly lower than the rest of the lot. Sometimes if a person is continually let down by an unsupportive friend, that person will have a psychological breakdown. Well, an unsupportive base will eventually cause your asphalt parking lot to physically break down, too. Asphalt becomes so depressed it tears itself apart - cracking, gatorbacking, and potholing. 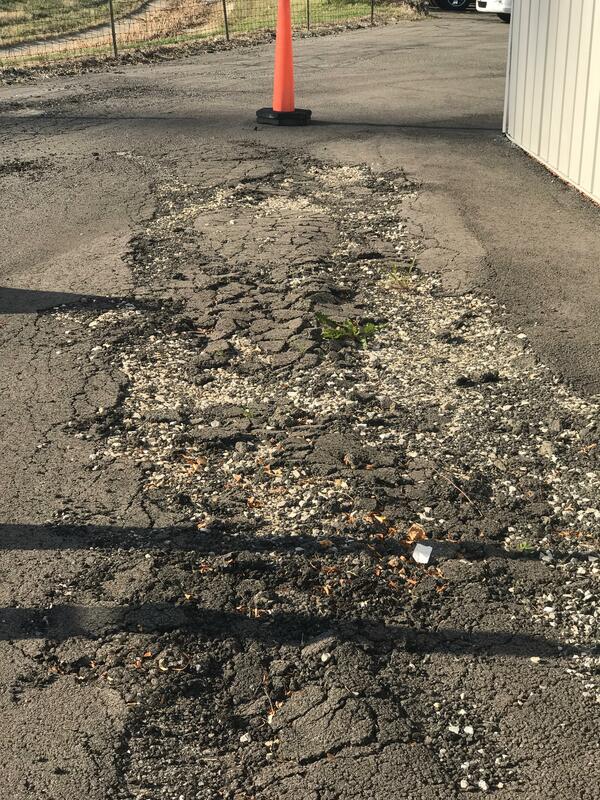 The problem begins spiraling out of control as the asphalt’s poor structural integrity allows additional water in to erode the subgrade more and create more cracks and potholes. Can My Base Be Improved to Better Support Asphalt? Unfortunately, if the base is already bad it’ll be difficult for it learn to get better. It’s stuck underneath the asphalt where it will either do its job or neglect its responsibilities. And it’s not like a person who can simply learn the error of his ways. Much like the asphalt above it, it must be properly compacted from the start. In the meantime, you may be able to get by with some serious asphalt maintenance. But eventually, you’ll have to start from scratch with a new base and asphalt surface or try a full-depth reclamation, in which the old asphalt and base are excavated, crushed, mixed with and cement-and-water mixture, and re-compacted for a stronger base. When you do, keep this asphalt quality control plan and checklist in mind.